For track & field fans, this is a very exciting time right now. We are in the middle of the US Olympic Trials, and the London games are fast approaching. So in the spirit of national pride, I will be highlighting former “home” tracks of Team USA members. International facilities will be on hiatus most likely until after the Olympics. One of the first events to crown its national champ at the trials was the 10,000, so I’m going to start with the college track of Amy Hastings, the winner of the women’s 10K. 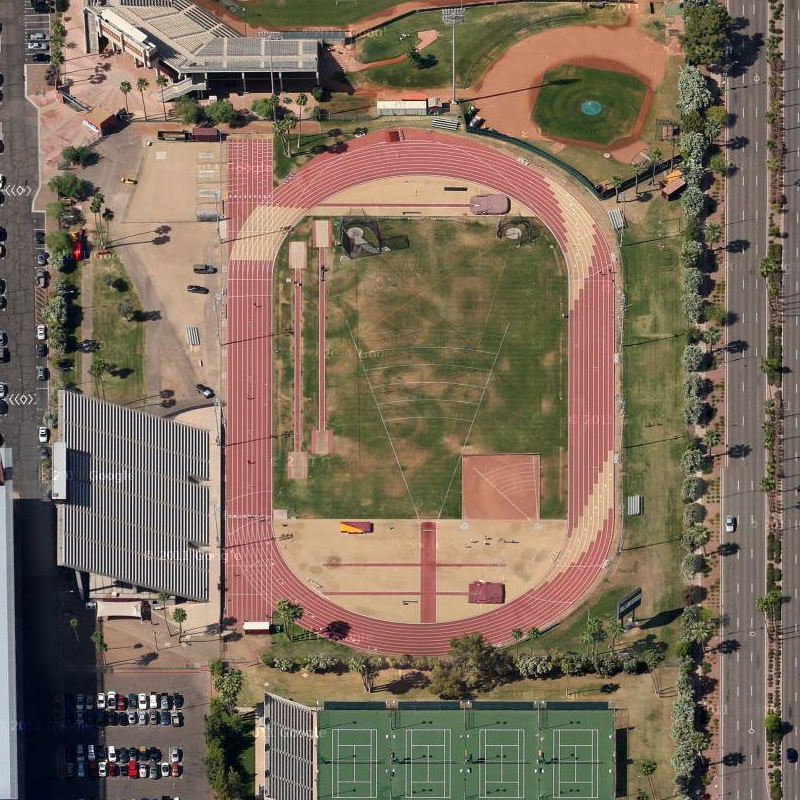 Joe Selleh Track is located on the campus of Arizona State University, and was also the home facility of TEAM USA shot putter Ryan Whiting. This track annually hosts the big ASU Invatational every spring.